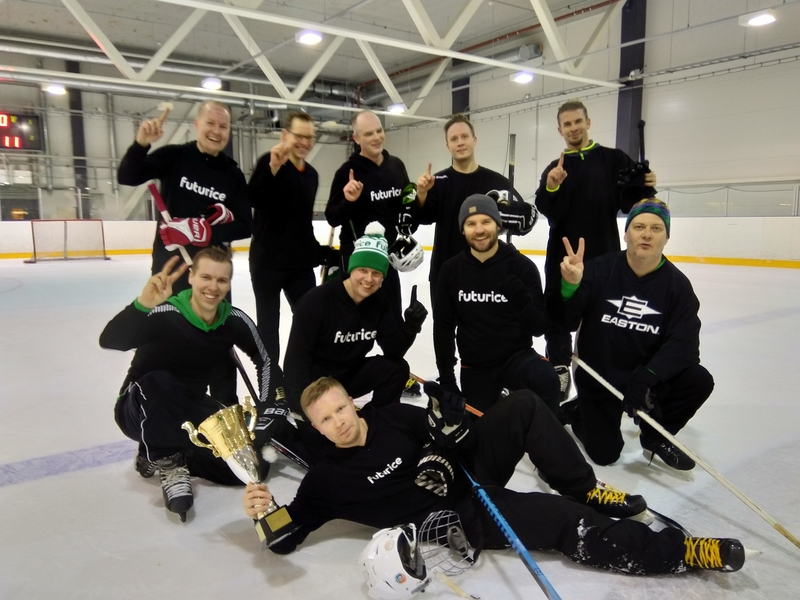 Every two years, the hockey enthusiasts of Futurice put on their skates and grab their hockey sticks for a friendly but serious hockey game - the Futurice Winter Classic. In 2017, team Helsinki traveled to Tampere for a game that ended up in a tight 6-7 win for the visitors.. This year, the fierce battle for the hockey championship started early in the year in the company's Flowdock. It was made clear from the get-go that Tammerforce was not ready to lose twice in a row. Futurice Winter Classic 2019, played in Salmisaari hockey rink in Helsinki, was an intense game full of back-and-forth action. The game was not free of drama. Right before the game, Tammerforce's general manager was able to pull of a few crucial trades just before the game. 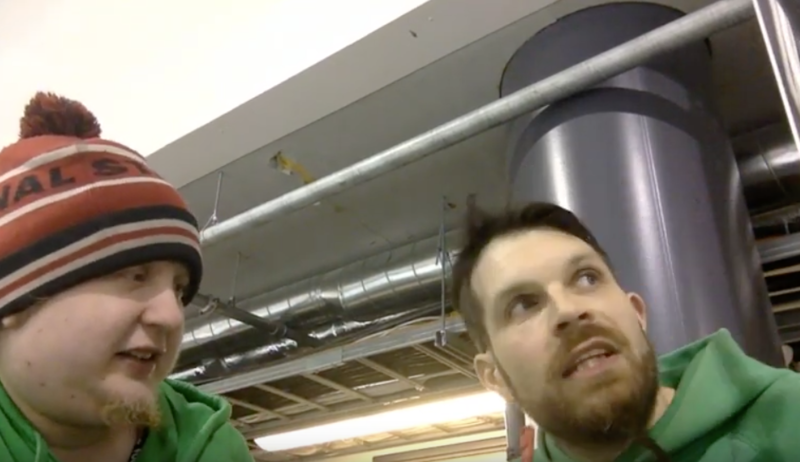 In a shocking trade, one that the hockey world had not witnessed since the Gretzky trade in late 80s, Tammerforce aqcuired Toni - the captain and champion of 2017 Winter Classic - from team Helsinki. While the players were warming up, we set up a few webcams and our commentator booth for a live broadcast. 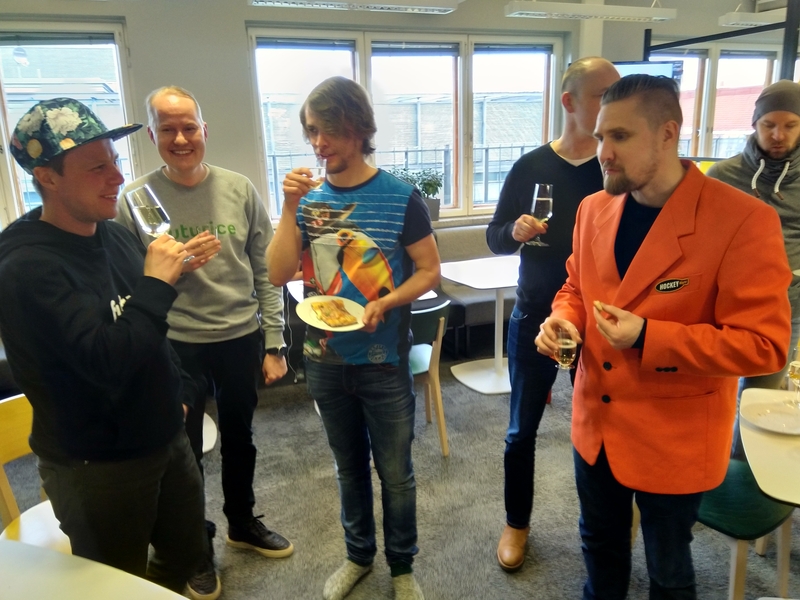 With the game broadcasted live on Twitch (and viewable now on Youtube), the audience across the Futurice offices all around Europe got to experience an exciting showdown between two hockey teams. Helsinki took Ykä's advice to heart and in the second period, we saw a totally different team. More organized passing game and long attacks deep in Tammerforce's end ended up netting Helsinki a 1-3 win on the second period. Tammerforce couldn't get out of the pressure in their own end and Helsinki brough the came to an exciting situation before the third period. But a good feeling can fool you. Helsinki's great momentum didn't carry over to the final period. Maybe the thoughts of sauna and pizza snuck into the minds of the players since more determined Tammerforce didn't leave any chance for Helsinki in the final period. 6 more goals in the third guaranteed a 11-6 final score and the trophy a trip to Tampere. 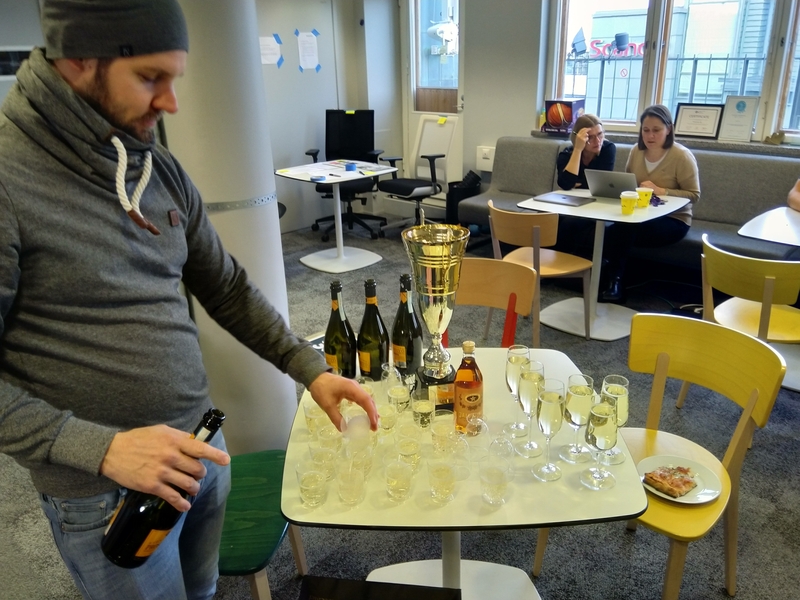 After the game, the traditional Finnish hockey after party was ready to take place: pizza, champagne and sauna in the Helsinki office provided Tampere people a great opportunity to cherish their victory and to catch up with the colleagues who enjoyed their work day inside a warm office. With the company growing, hopefully in the future we'll have other offices joining the Winter Classic as well. Maybe Futurice Winter Classic 2021 will be a five-country tournament. 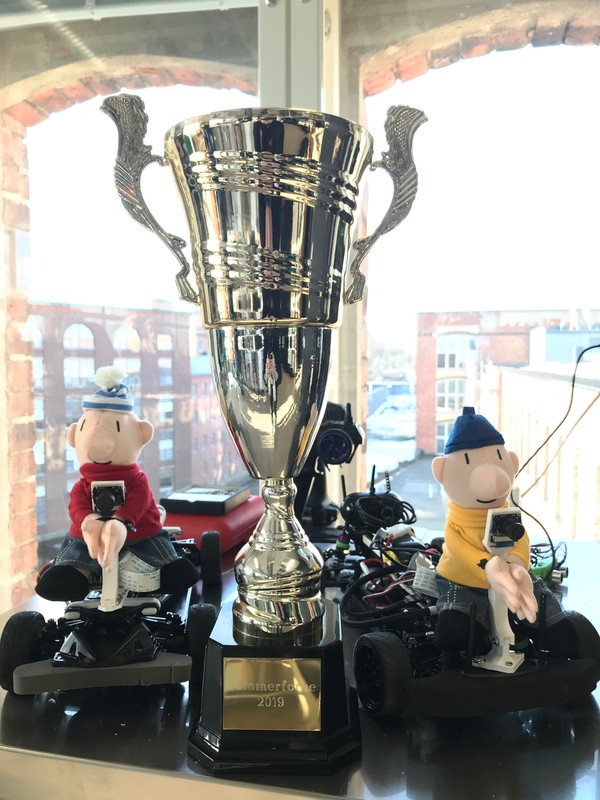 The trophy found its new home in Tampere.